Have you ever had a day where you feel defeated? I’m talking about the kind of day where it’s 10:00am and the coffee didn’t work and you want to go back to bed. I’m on a mission to be real and vulnerable with all those in my life, yet at the same time balance the beauty and truth that I am privileged to live another day. Each breath is a gift and I want to use mine to love and encourage. I find that when I’m down I can go one of two ways. Just stay down and wallow in my frustrations. (Trust me, I go there a lot.) Other times though, if I can remember that there are other people out there struggling and I can do something to encourage them it ends up pulling me out of my funk. Rather than just focusing on myself I get to turn my attention to loving on a friend. I made these simple little cards this week to help a few friends that I get to hang with on Saturday join me in this mission. If you would like to create your own greeting card to #sendoutlove, here is how I made mine. I bought a bunch of blank card stock cards, envelopes and pretty sheets of paper. 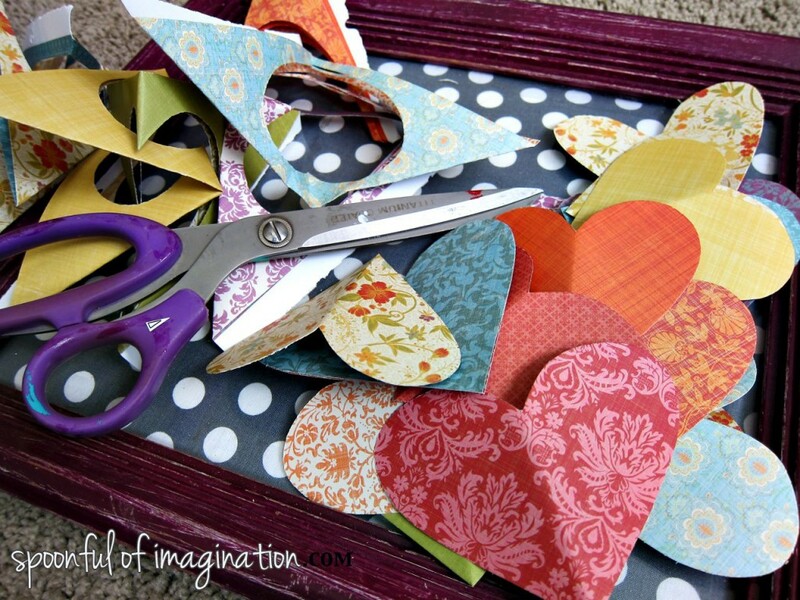 I then cut hearts out of the paper that would fit onto my card stock card. 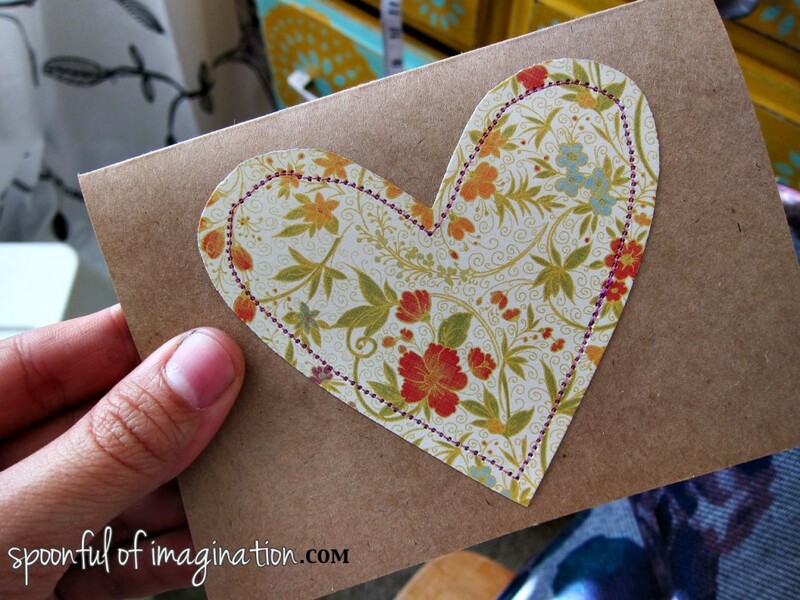 I picked up one card at a time and centered a heart onto the card by eye balling it in the middle. 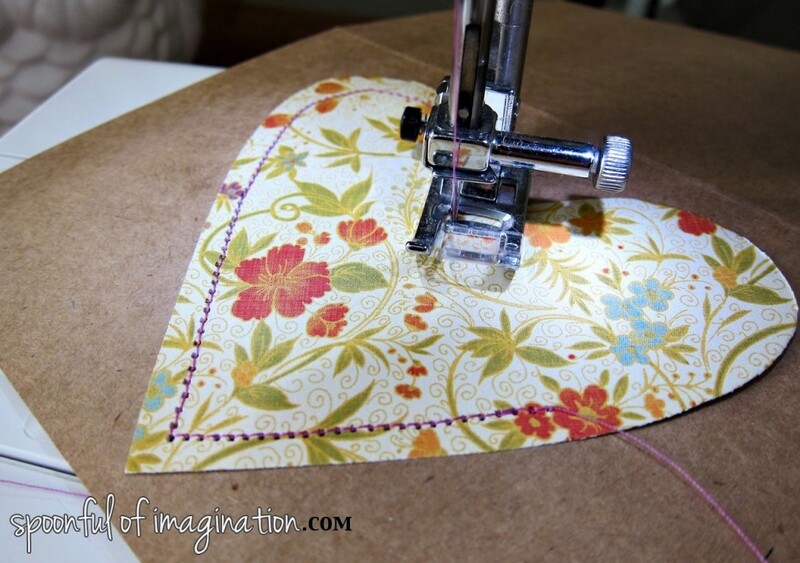 I then used my sewing machine and sewed the heart into place, just like I would sew any other fabric project. That is it! 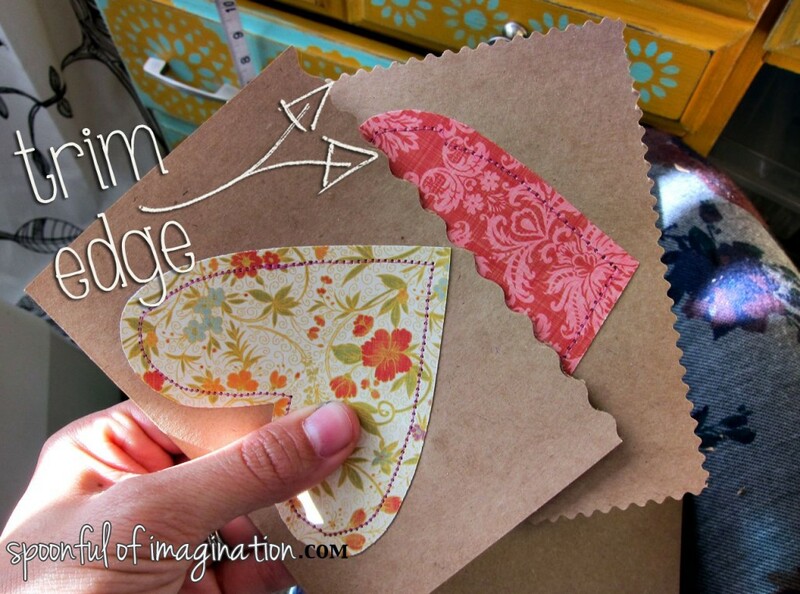 The card can be done then or you can get creative and use decorative scissors to trim the edges. I have several pairs of these fun scissors (thanks to a sweet reader for this gift ;)). I played with the different edges on my cards. I also played with adding more sewn lines to my heart. 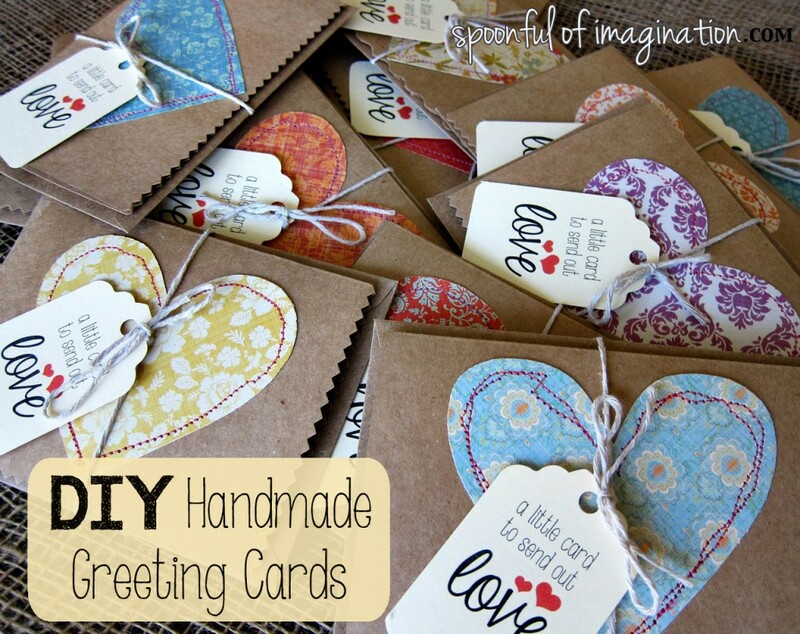 Both of these options let you get more creative with your greeting card. I had fun making mine with my trusty crafting sidekick. 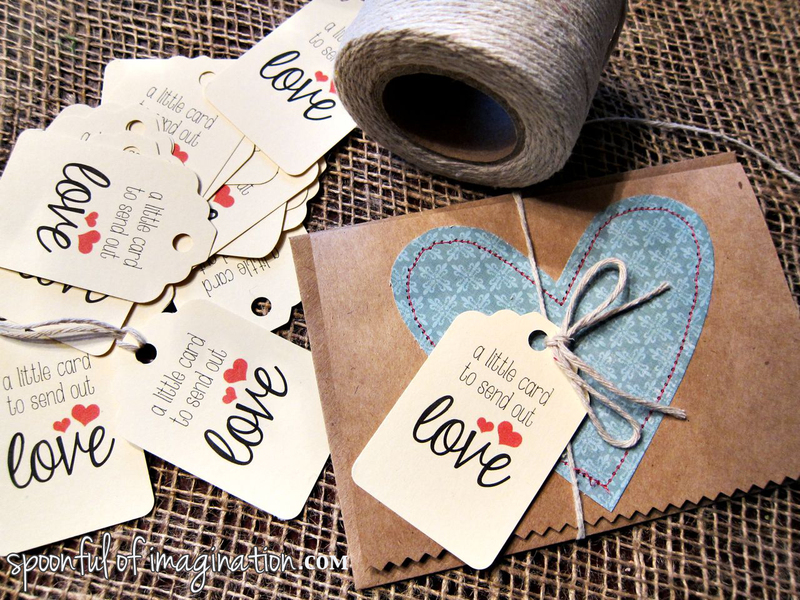 Now since my cards are not for me to send out, I created a small little tag that I wrapped around each card and envelope. I love how they came out. 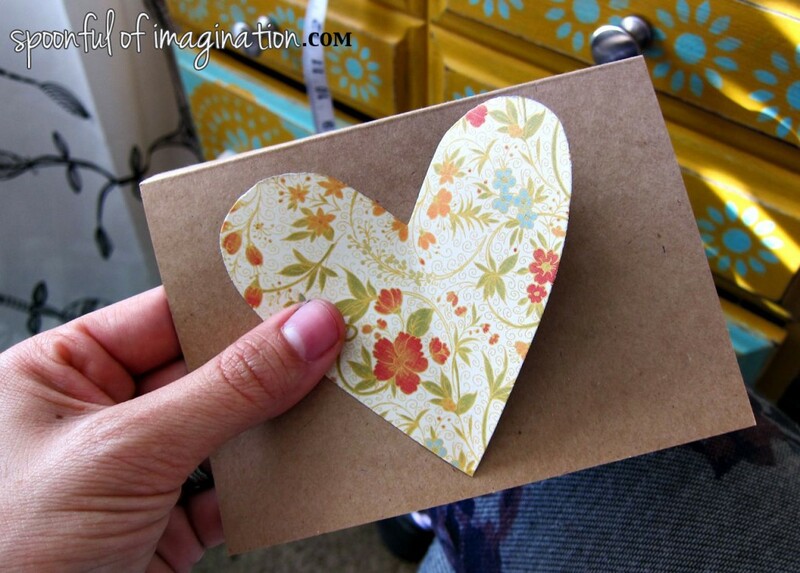 I mentioned this idea in my last DIY greeting card tutorial. I want to be sending out handmade, written cards regularly. It’s easy to text, facebook a message, or Instagram a sweet comment. BUT, all of those ways can also end up adding more “noise” and distraction to our day. A hand written note is simple but says so much. I am going to send out five of these cards next week to encourage those around me, but I am also giving most of these ones away to help encourage others to send out love as well. I think this idea would be an awesome way to start a movement of people wanting to inspire, encourage, and challenge others to think past ourselves and to love one another well. Image what this world could look like. If you would like to be on this mission with me, send out some cards to encourage, then please feel free to download my tag so that you can make cards for others to send out. I use this Uchida Tag Punch, but you could simply cut these out and wrap around your own cards. A set of handmade cards would be an awesome teacher gift, birthday present, hostess gift, stocking stuffer, or simple “I love you” present. 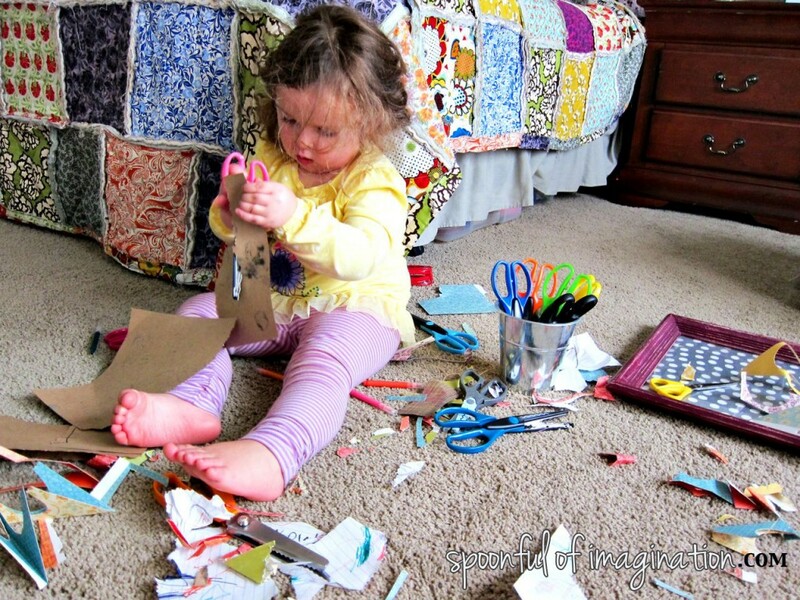 With a little time and colorful paper we can brighten someone’s day and make those defeated days a little sunnier. If you follow me on twitter, instagram, or facebook and use this idea to send out love, please use the hashtag #sendoutlove on your pictures and cards. 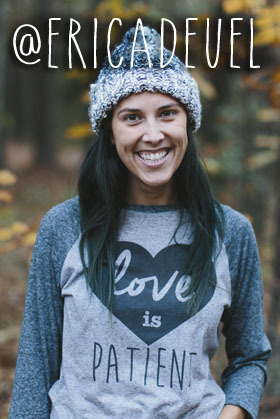 I would love to connect and see what you create to encourage others as you #sendoutlove! 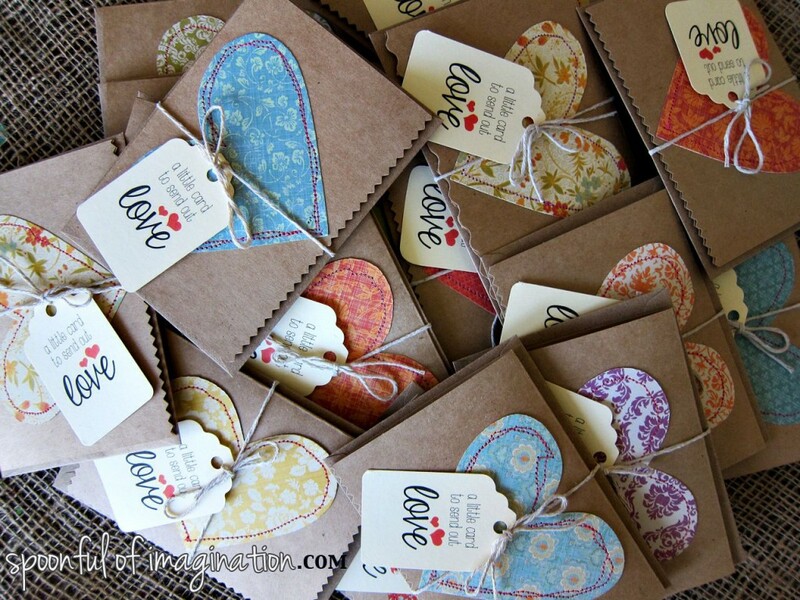 Share this post somewhere (with a friend, neighbor, email, facebook, twitter, IG, etc) and leave a comment below telling me where & you will be entered to win 12 of my tags already punched out for your greeting cards. The winner will be drawn and contacted on Sunday. I LOVE the simplicity of these cards! They are gorgeous!! And, I agree with you, hard made cards are the best. When I get back to the States, I’m definitely going to use my seeing machine on cards! I don’t know if this counts, but I pinned this on Pinterest! 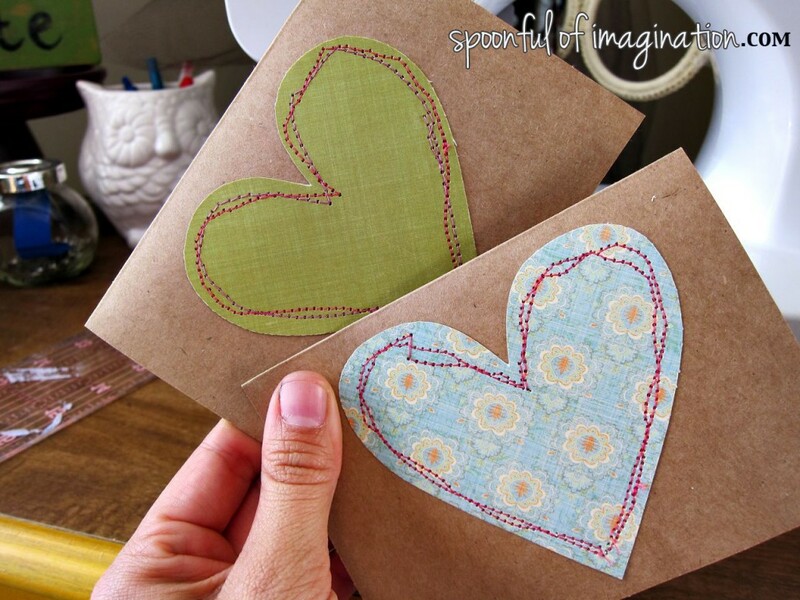 Love these, my crafty friend! They are awesome. Pinning! Very cute! I have a great idea for our Christmas cards this year and an idea like this is perfect to go along with them. Thanks for sharing !